What does Mother’s Day mean to you? To me, it means recognizing and honouring my mom’s hard work, compassion and dedication to both myself and my girls. If my Grandma June were still alive, I would also want to let her know how much I love her and thank you her for always being there for me. My mom and I are very close and we talk to each other daily on the phone or via Skype. Unfortunately, I’m not in driving distance to hop in the car for a quick visit. Instead I rely on technology to connect with my mom (and other family members too). I would even say that we talk more now that I’m living far away than when I lived in Ontario! It’s great though and I enjoy our chats. When my mom goes on a trip, I know I miss her terribly and count the days till she is home. I recently posted about how I’ll be bridging the distance on Mother’s Day with my HP Pavilion x360. 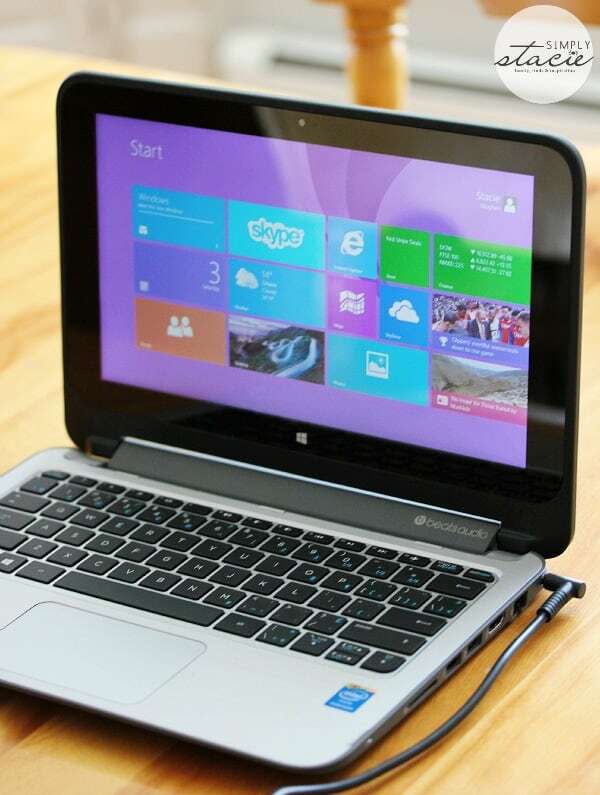 HP Canada provided both my mom and I with an HP Pavilion x360 and we have had a few chats about how much we are enjoying all of its great features. Today I wanted to share with you a couple other easy ways you can use technology to celebrate Mother’s Day. Last year, HP Canada sent me an HP Photosmart 7520 e-All-in-One printer. I use it daily for my blog to scan pictures, contracts, print out emails, etc. I also use it for fun DIY projects like these two! 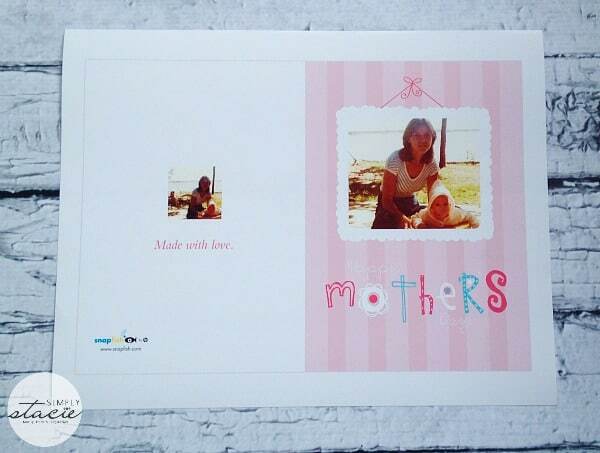 Snapfish has a large assortment of free Print at Home Mother’s Day cards to choose from. You can customize your search on how many photos you want your card to include, whether it’s portrait or landscape and even the colour. The selection of templates are professional looking and come in a wide assortment of styles. I picked the Mother’s Day Art Gallery for my mom because it was pretty with a scrapbook feel to it. I was looking through my old scrapbooks and found this picture of my mom and I when I was a baby in the late 70s. I thought it would be a nice touch to add some nostalgia to the card and I know my mom will get a kick out of seeing this old picture. The HP Photosmart 7520 e-All-in-One printer can also scan photos and documents and wirelessly send the image to your PC. Then it’s just a matter of editing the image and adding it to my Mother’s Day Card in Snapfish. After adding my image to the front of the card, I personalized the inside of the card with a note to my mom. You can also play around with the fonts and colours until you find one that suits. As you can see I went with a couple different fonts and colours for my card. With my HP Original Ink cartridges replenished, I printed my card on HP Everyday Photo Paper. I flipped it over so it could print on the inside. 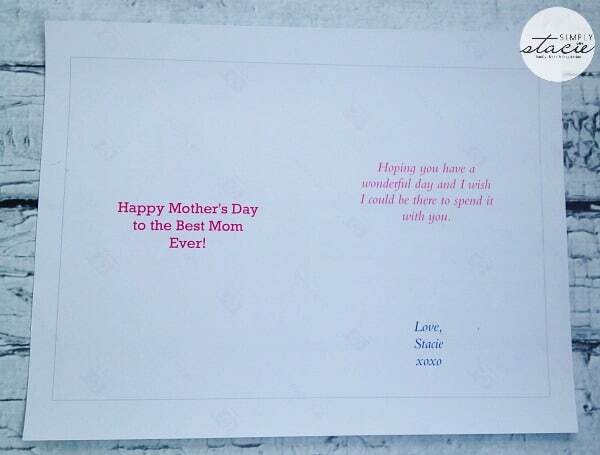 Then it was just a matter of folding my card in half and voilà….a personalized Mother’s Day card that I can pop in the mail and send to my mom in Ontario. I’m very impressed with how nice the card turned out. The image, as ancient as it is, came out clear and sharp. The colours were vibrant and crisp. The HP Photosmart 7520 e-All-in-One printer always produces print-lab quality photos. And best of all, it’s homemade and my mom is going to love it! Another fun way to show mom your appreciation is giving her breakfast in bed. 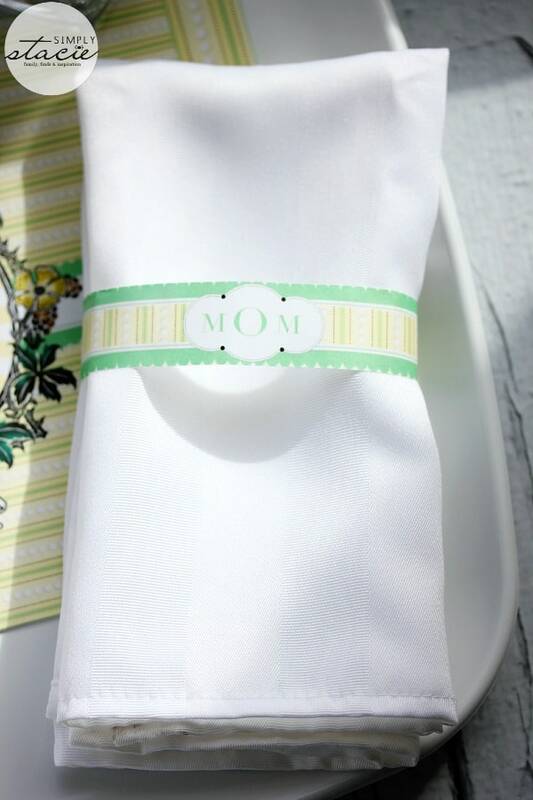 Snapfish has Mother’s Day printables that can use to dress up mom’s tray and make it even more special and memorable. I love their French Country Breakfast-in-Bed Kit. It’s quaint and has an old world charm feel to it. Plus it features a rooster and my mom collects rooster decor! 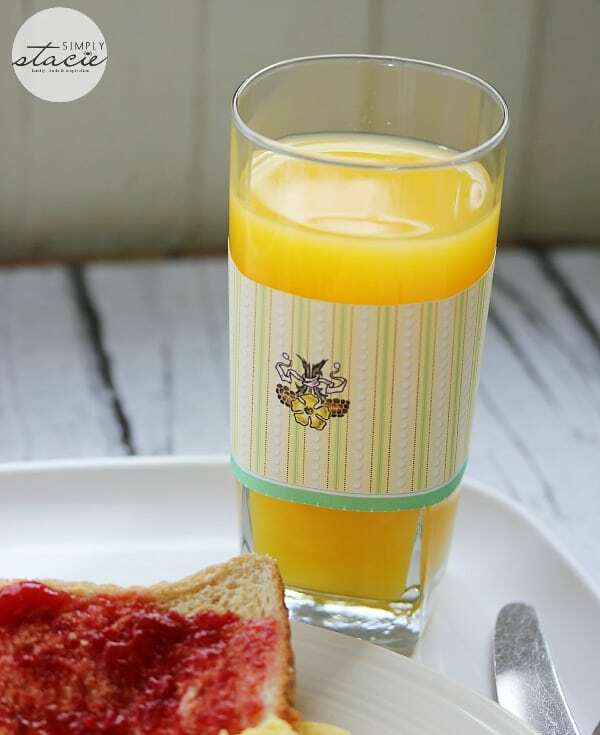 The kit includes a juice glass wrap, place mat, napkin rings, menu and table card. It was as easy as cutting out the printables and getting everything set up ahead of time. My mom’s in Ontario so unfortunately she’s a little too far for me to go to bring her breakfast in bed. I’m pretty sure it would be cold by the time I got there. 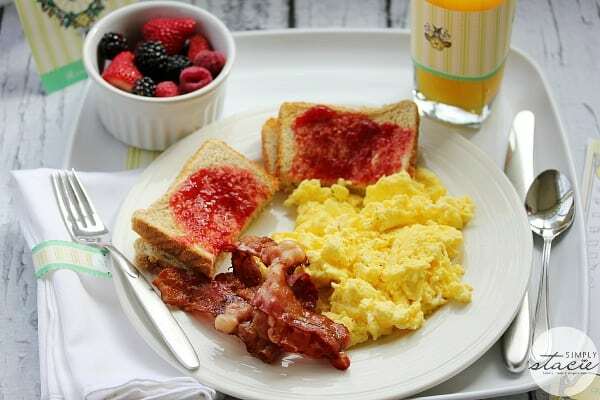 However, I wanted to show you the final product of what it would look like so I made John a nice breakfast of bacon, eggs, toast, fruit and orange juice. Mom, if you were here, I would give this to YOU! 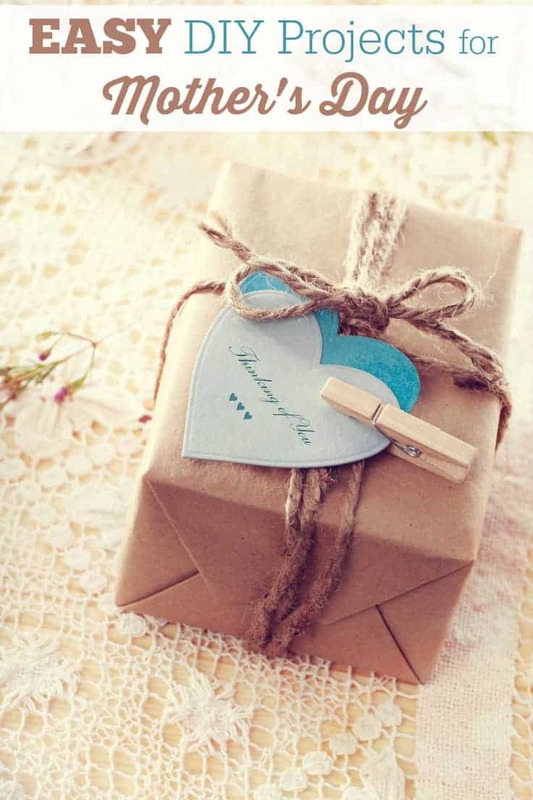 Mom can have the royal treatment on her big day with all these small extras that make a big difference on presentation. No detail is forgotten. Even the napkin ring says her name. 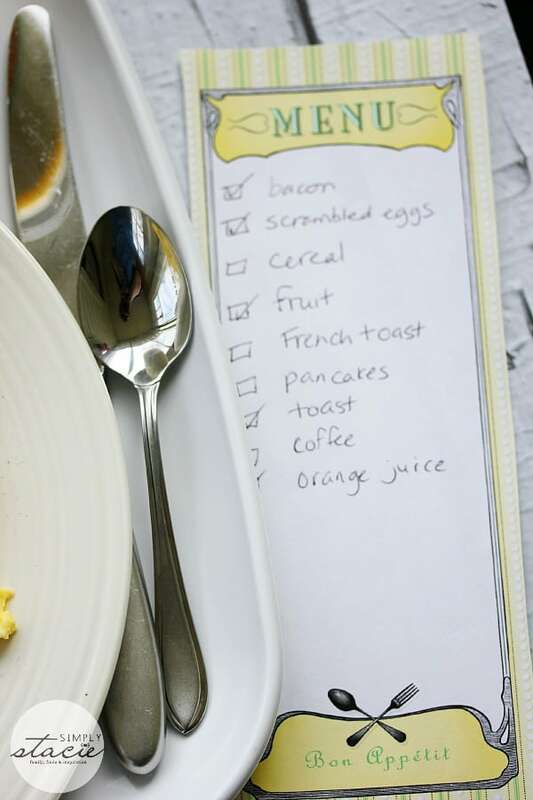 You can even let mom pick what she wants to eat for breakfast on her menu. Fancy right? The juice glass wrap is held in place by a piece of tape. If she drinks coffee, you could also fit it around a mug. Breakfast is served! Now that’s a breakfast I wouldn’t soon forget. Hint hint John! For more Mother’s day DIY ideas, check out Snapfish. Learn more about the HP Pavilion x360 and HP Photosmart e-All-in-One printer. Share your mom’s best advice to be entered to win a $4,500 Travel Credit, “Just for Mom” Prize Package and HP Print Bundle! Open to Canada only and ends on May 11, 2014. 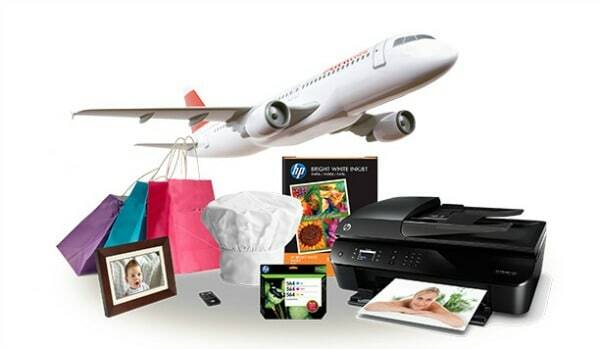 Visit HP Canada to enter. You totally rocked out this post. 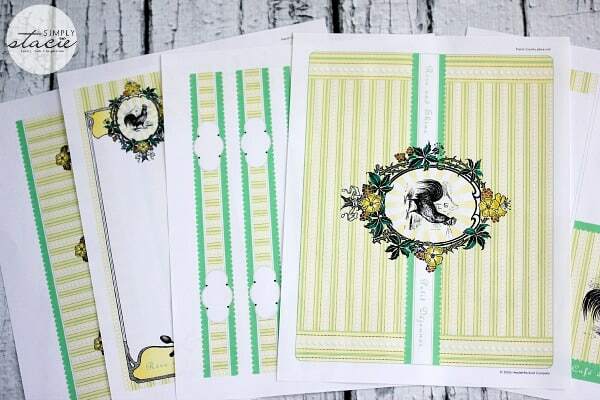 I am in LOVE with your table setting and the adorable embellishments you printed!! ROCKSTAR! I love the printables! 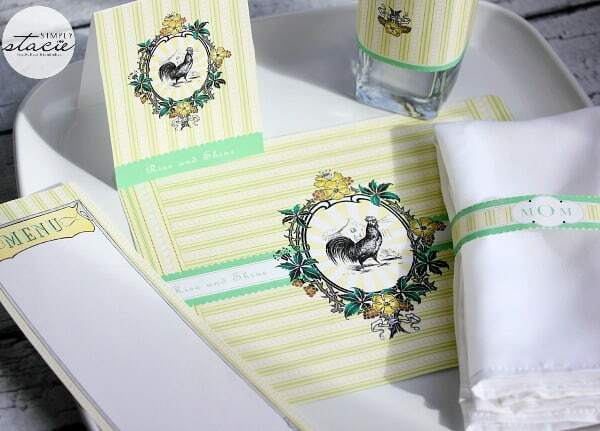 What a cute theme for a brunch or even a breakfast in bed tray on Mother’s Day! It is nice that you can keep in touch with your mom from away. My family is in another province also, and my mom is not online. A phone call every few weeks to catch up. Not easy because she has trouble hearing. Too bad the HP contest is only for Canaada. 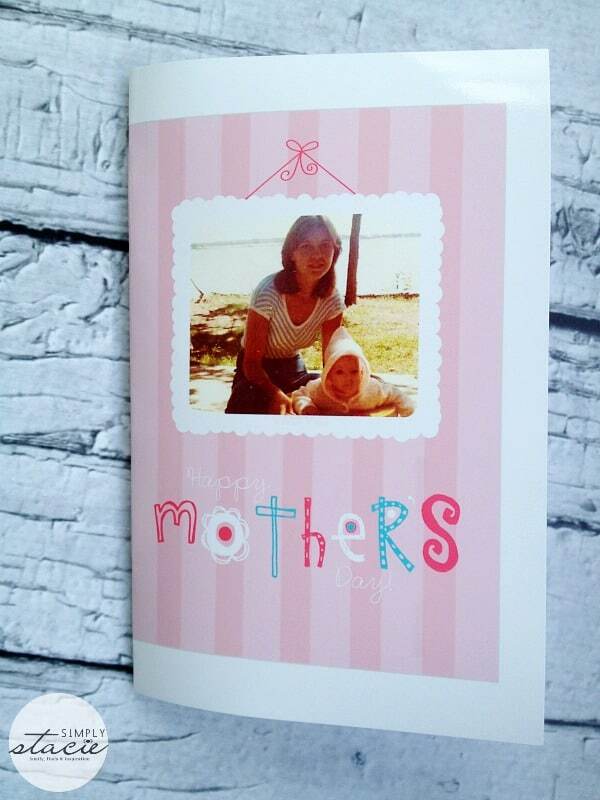 What great projects for mother’s day. I love them! Love these cards, all I use is HP! They make the best printers. My mom always said to treat people the way you would want to be treated and i would love to treat her with these great prizes. 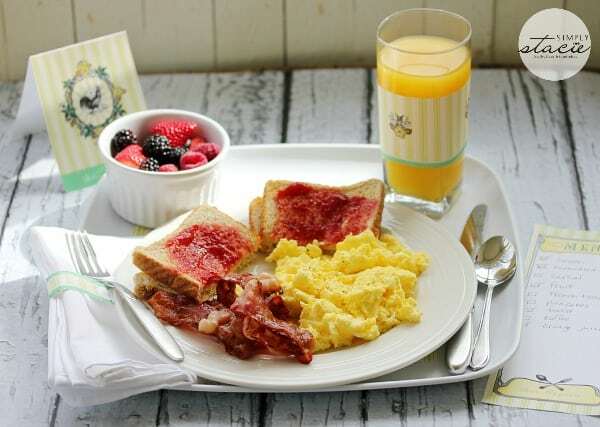 If only my kids knew how to use the printer… Hint… hint..
That looks like a breakfast that I’d love to be served in bed. I had no idea you could do so much with an HP printer. Beautiful! This is the perfect way to surprise mom. I hope my husband checks out this post… may have to email it to him! I love all of the ideas. The are so pretty. I love making things like this. I don’t live close to my Mom either but I’m going to send this post to my sister who was just asking me for an idea. This is so cute. Cards are so expensive and I always have trouble finding exactly what I want. I am unlucky in that my mother has already passed on but lucky in the fact that I have 7 children who always remember me on Mother’s Day. We communicate nearly every day as a family via our phones & Whats App, absolutely fantastic. My children and grandchildren are scattered throughout the world, so this is an ideal way for us to constantly keep in touch. 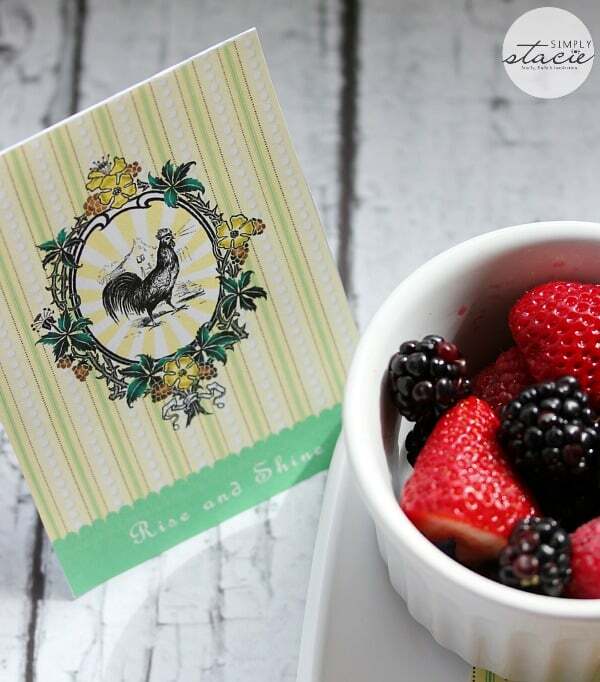 I love the printables for Mother’s Day!